1. The vampire deer is actually a nickname for different varieties of the musk deer, but you can see how he got his supernatural moniker. Only the male deer in this family have fangs and they're used to compete for mates. Once thought extinct, researchers recently found a lone Kashmir musk deer in northeastern Afghanistan last November for the first time in 60 years. Is this the first time you are seeing a Vampire Deer? 2. Here are some facts and information on the Vampire Deer. Which ones are you familiar with? 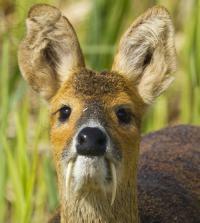 Vampire deer is also called a Water deer. They have tusks rather than antlers, which makes them a very interesting species. The full grown males weigh about 32 pounds with the females about 20 pounds. They are about three feet tall when they are fully grown, so they fall into the category of a small species. China and Korea are the main areas where the Water Deer live in their natural habitat. They live close to bodies of water, and they they need to drink plenty of clean water. They can swim for many miles at a time without using up very much energy. They are solitary animals with the exception of mating season. 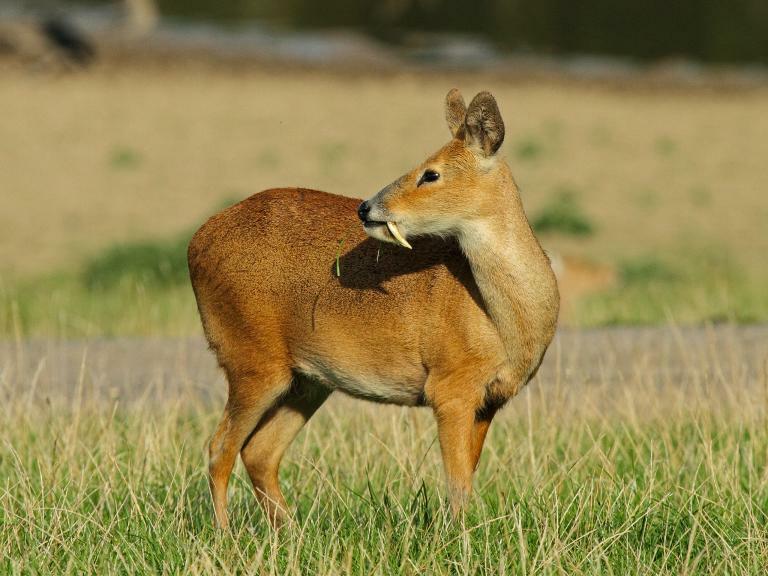 The diet of the Water Deer consists of grass, twigs, berries, and anything that constitutes those types of vegetation in those areas. The males give off barking sounds when they are looking for females to mate with. I know several of these facts on the Vampire Deer. 3. Here is a video of an actual Vampire Deer. Do you now believe they really do exist?